Homecomings, homecomings, and more homecomings this month for Memories by Tasha! 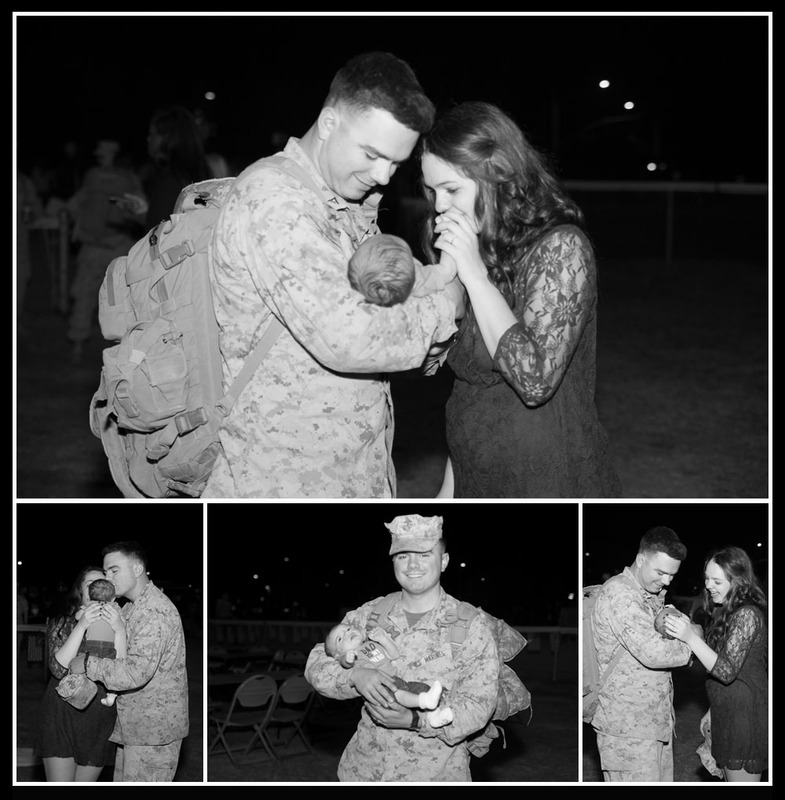 Great stuff ❤ This family waited to be complete as this Marine became a daddy while he was deployed. As we waited in the wee hours of the morning Lindsay was so excited to finally introduce the two most important men in her life. 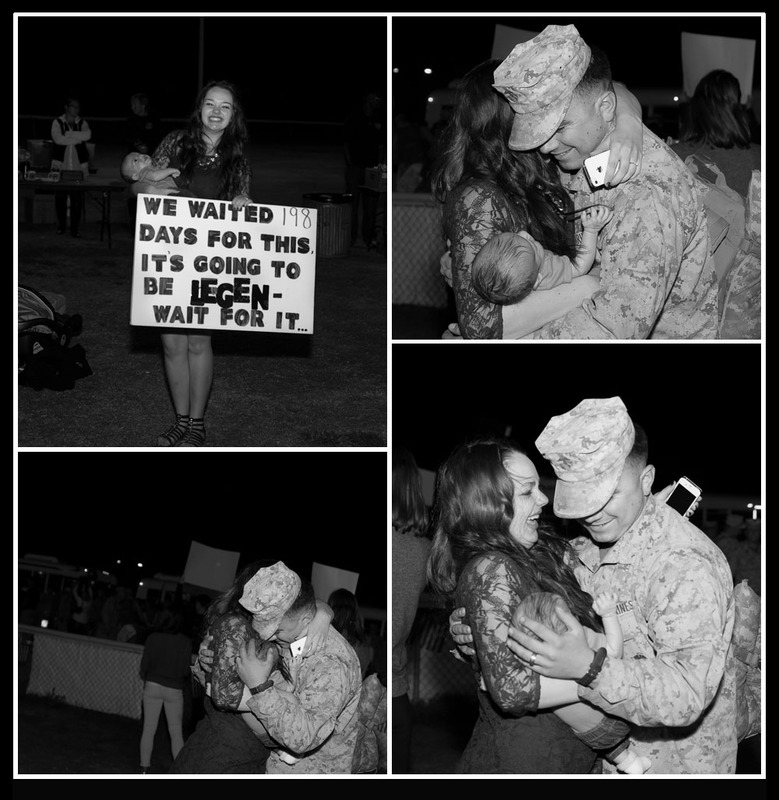 The anticipation of homecomings can be felt in the air even as the photographer. The buses finally arrived and Marines began pouring out. 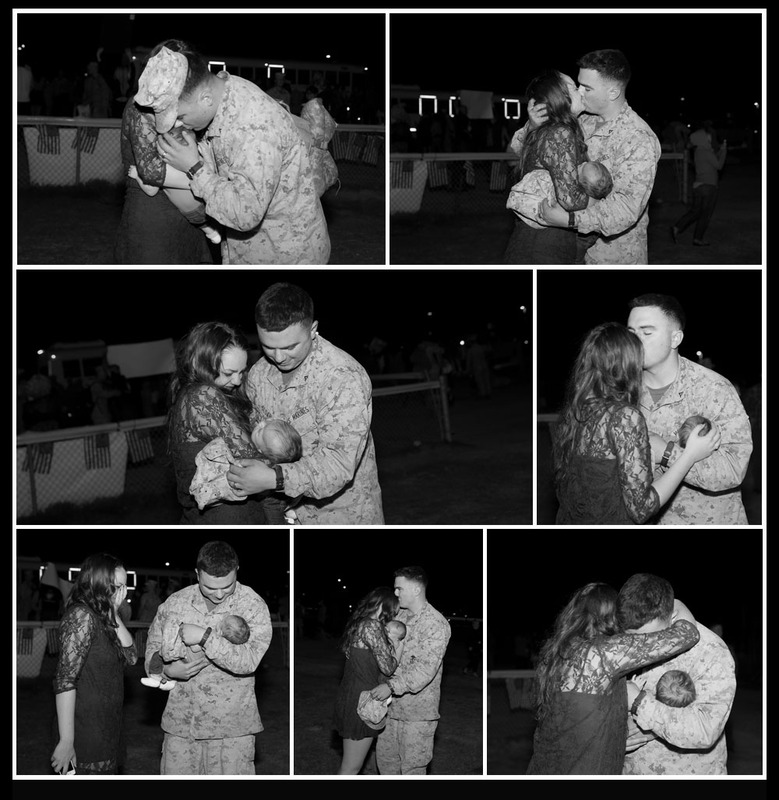 Now Lindsay said she was staying put and letting him come to her so she wasn’t trying to run with the baby; yeah that went out the window at first glance 🙂 Every one of these images tells of their love, admiration, and devotion to each other and their new son. 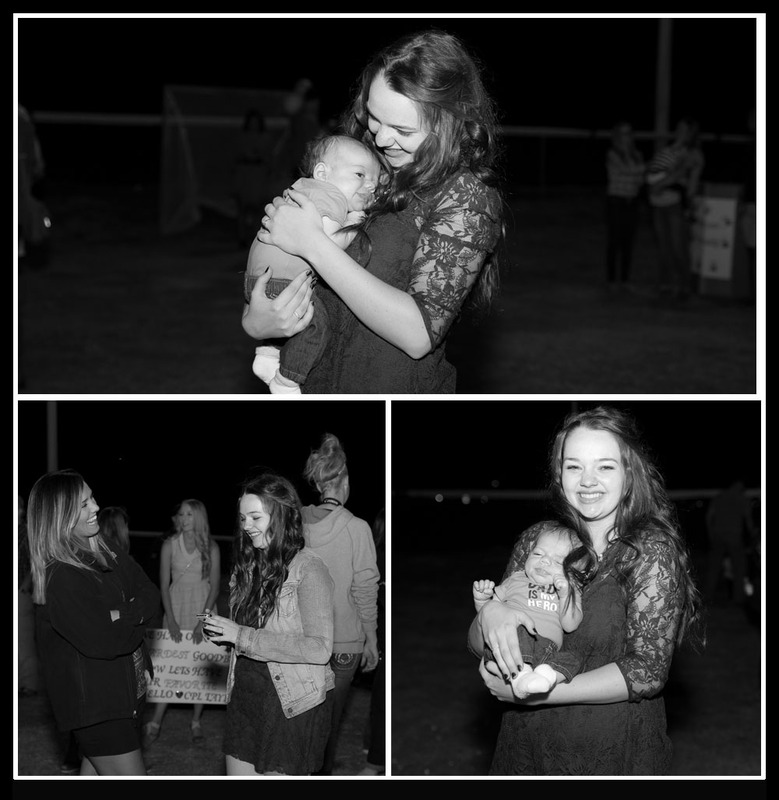 Once again beyond blessed to have an opportunity to capture these moments – Thank you Sloan Family!